All Authors All Authors Abel, Gary A. Abir, Mahshid Adams, John L. Ahluwalia, Sangeeta C. Arora, Neeraj K. Ayanian, John Z. Bauhoff, Sebastian Beckett, Megan K. Benson, John Brown, Julie A. Burge, Peter Burkhart, Q. Burt, Jenni A. Campbell, John Carter, Mary Cella, David Cerully, Jennifer L. Chen, Alex Y. Cleary, Paul Cohea, Christopher W. Concannon, Thomas W. Connors, Alfred F., Jr. Cunningham, William Damberg, Cheryl L. Davey, Antoinette Dembosky, Jake Derose, Kathryn Pitkin Edwards, Carol A. Elliott, Marc N. Elmore, Natasha Engberg, John Etchegaray, Jason Michel Farley, Donna O. Farquhar, Morag Finucane, Melissa L. Fongwa, Marie N. Fowler, Floyd Friedberg, Mark W. Gaillot, Sarah J. Gallagher, Patricia Gallagher, Thomas H. Ganz, Patricia A. Giordano, Laura Goldstein, Elizabeth Goldstick, Jason E. Grant, Jonathan Grant, Sean Grob, Rachel Gurvey, Jill Haas, Ann C. Hambarsoomian, Katrin Haviland, Amelia Hays, Ron D. Hepner, Kimberly A. Hurtado, Margarita Patricia Kahn, Katherine L. Kamenetzky, Adam Kanouse, David E. Khodyakov, Dmitry Klein, David J. Lehrman, William Ling, Tom Liu, Honghu H. Llanwarne, Nadia R. Lorenz, Karl Lynn, Joanne Lyratzopoulos, Georgios Malin, Jennifer Malsberger, Rosalie Mangione, Carol Mangione-Smith, Rita Manville, Catriona Maramba, Inocencio Martino, Steven Martsolf, Grant R. Morales, Leo S. Morgan Jones, Molly Newbould, Jennifer Nolte, Ellen Nowell, Ben Orr, Nathan Ottosen, Madelene J. Paddison, Charlotte Paddock, Susan M. Palimaru, Alina I. Parker, Andrew M. Parker, Richard A. Pitchforth, Emma Price, Rebecca Anhang Quigley, Denise D. Reise, Steven Roberts, Martin J. Roland, Martin Rumball-Smith, Juliet Rybowski, Lise Saunders, Catherine L. Schlesinger, Mark Schneider, Eric C. Setodji, Claude Messan Shaller, Dale Shekelle, Paul G. Sherbourne, Cathy D. Spritzer, Karen Stucky, Brian D. Teijlingen, Edwin van Teleki, Stephanie S. Teno, Joan M. Vaiana, Mary E. Weech-Maldonado, Robert Weidmer, Beverly A. Wenger, Neil S. Wu, Albert W. Zaslavsky, Alan M.
This report looks at how to effectively involve patients and the public in health research. Massachusetts residents will soon vote on the Patient Safety Act, a mandate to increase nurse-to-patient ratios in acute care facilities. Evaluating existing data on the impact of a similar nurse staffing law implemented in California in 2004 may help inform voters as they head to the polls. Each annual release of hospital ratings captivates journalists, hospital leaders, and health care consumers in the United States. These ratings aggregate many measures into a single score for each hospital. But why should the opinions of report creators hold sway, if the intent is to inform patient choice? Why not ask patients instead? 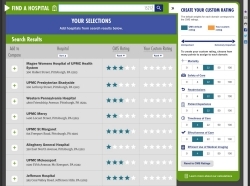 The Personalized Hospital Performance Report Card allows users to review, customize, and compare hospitals across the United States based on an overall star rating system developed by the Centers for Medicare and Medicaid Services. Publicly available hospital ratings and rankings should be modified to allow quality measures to be prioritized according to the needs and preferences of individual patients. RAND researchers propose a new way of rating hospitals by creating tools that allow patients to decide which performance measures to prioritize. Good care coordination and communication are especially important for less healthy Medicare beneficiaries' overall evaluations of their doctors. Speaking Up and Walking Out: Are Vulnerable Patients Less Likely to Disagree With or Change Doctors? Older, less educated, and lower-income Medicare beneficiaries are less likely to disagree with or change doctors; to help prevent disparities, doctors and advocates should encourage vulnerable populations to express their concerns and perspectives. 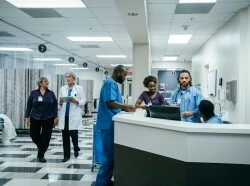 These study findings prompt exploration of how hospitals react to occupancy changes and how those care processes translate into hospital-acquired complications in order to inform best practices. A divergence between physician and patient expectations of communication practices may be common in primary care. To examine the relationship between intrateam communication in a PCMH and patients' satisfaction with assigned PCPs, and whether patient-provider communication mediates this relationship. Among an English study population, patients' evaluation of care is worse if they do not receive the type of consultation they expect. Medicare patients without a personal physician reported worse patient experiences, and were 3 times more likely than those with a physician not to have seen any health care provider in the last 6 months. Among Ugandan HIV clients and health care providers, communication about childbearing needs is poor and associated with stigma. Performance data for 9.9 million Medicare patients showed that Medicate Advantage outperformed Medicare Fee for Service across all 16 clinical quality measures examined. Review approaches assessing magnitude of differences in patient experience scores between different providers. Inclusive decision making and the concern the provider demonstrated for questions and patient concerns were both independently associated with higher adherence to hypertension medications; the amount of time the provider spent with the patient did not affect adherence. Future research in the field of integrative oncology should incorporate comparative effectiveness research stakeholders, patient-reported outcomes, and economic evaluations. 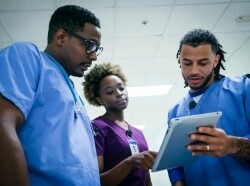 High quality care for seriously ill patients could be promoted by developing a nationally endorsed survey instrument that assesses patient and family experiences of serious illness care, an administrative data structure to identify the most knowledgeable respondents for the survey, and a tool kit of quality improvement approaches.